I’m not your traditional Southern Hostess, I’ve spent the last 2 decades having traded in my go to party foods like pizza and wings for some fresh seafood. Whether it’s our Southern hospitality or just simply natural when we go for a dinner or party, we choose to bring a host or hostess gift. 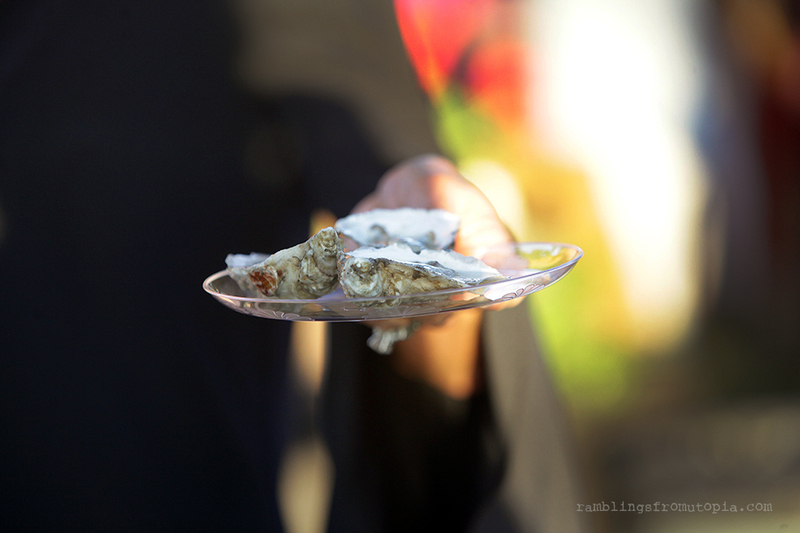 The Wente Wines Pair wonderfully with our oysters on the half shelf, gumbo or some southern barbecue. 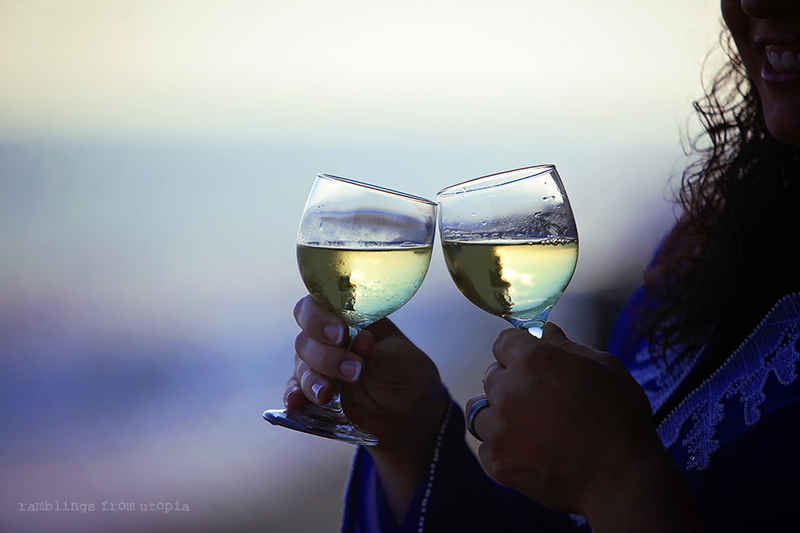 Winter’s here are just perfect for backyard Holiday get togethers, sitting around the fire, watching the sunset over the bay, good food, a great pairing for Wente Wine and friends! I’m always looking for new summertime snack options, after the first couple weeks of summer pass, I feel like we get into a rut and finding a kid friendly snack that can accommodate all their friends is especially challenging, we have a few with gluten sensitivity. 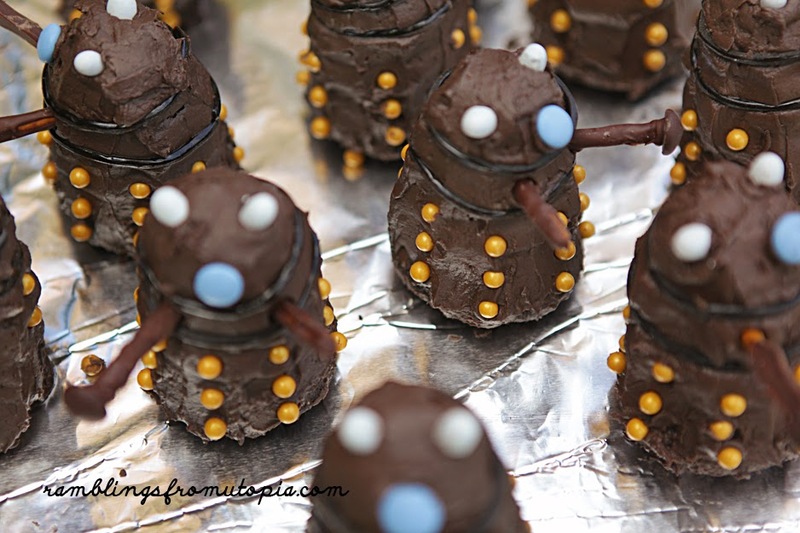 The kids and I came up with an friendly alternative to just plain fruit. 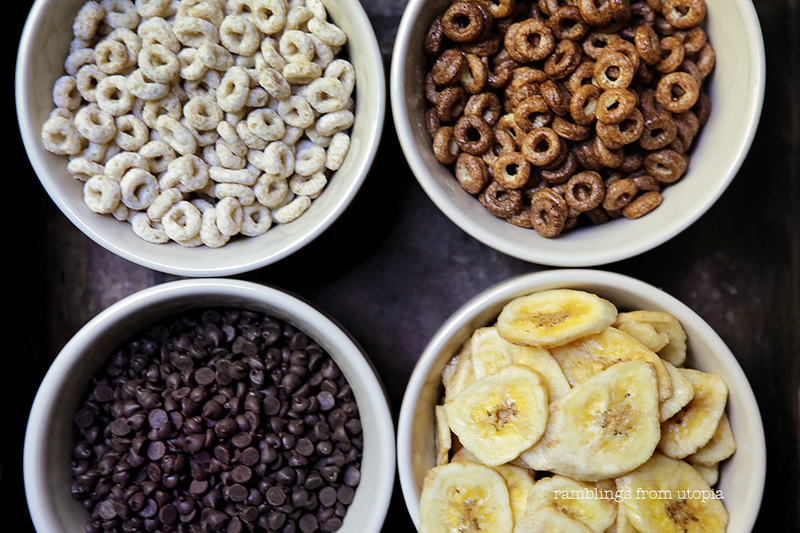 What kid doesn’t like Cheerios, cookie dough, chocolate and bananas? 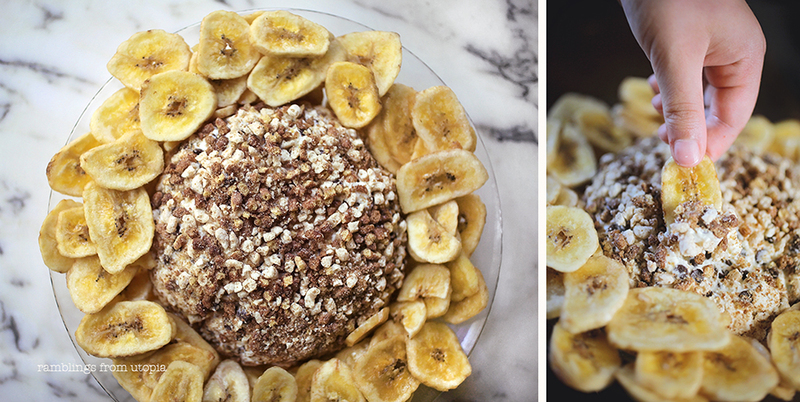 So why not add a new twist to your go to favorites, that’s gluten free and yummy! 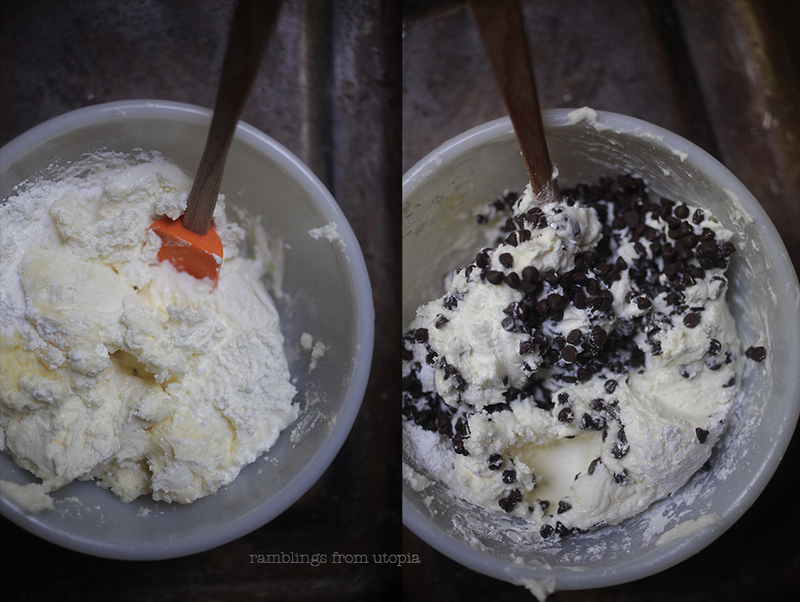 Combined cream cheese, butter and powdered sugar in a bowl, mix until incorporated, then stir in mini-chocolate chips. 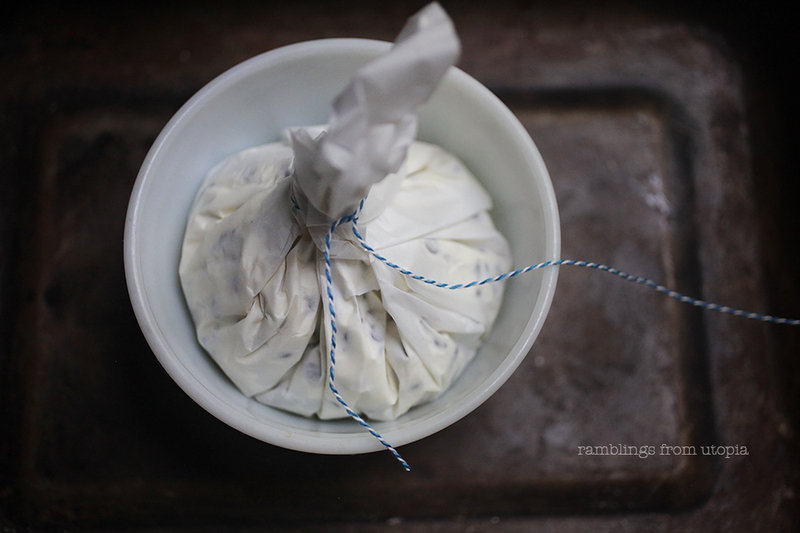 Place a piece of parchment paper in a bowl, fill with the cream cheese mixture, form into a ball and cool in refrigerator for 2 hours (can be placed in freezer for 45 minutes). 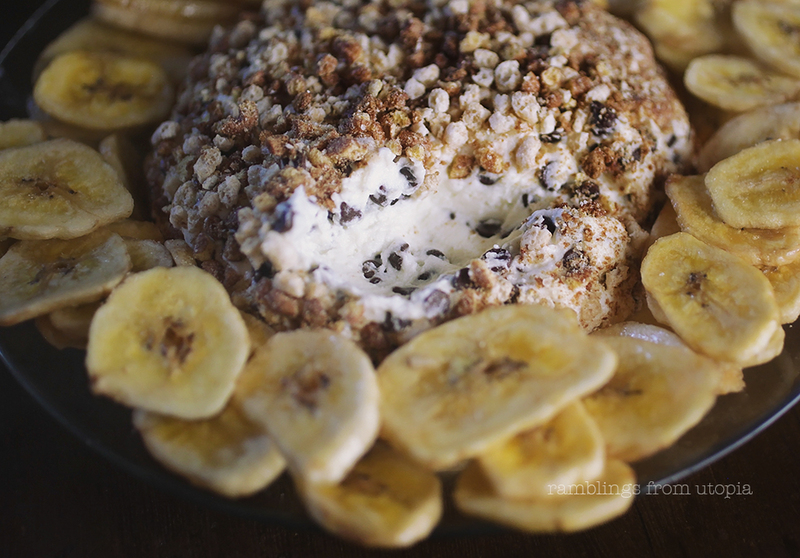 Pour crushed Cheerios into a deep dish baking pan, take out the chilled cream cheese dip ball and roll it in the crushed Cheerios until fully covered. 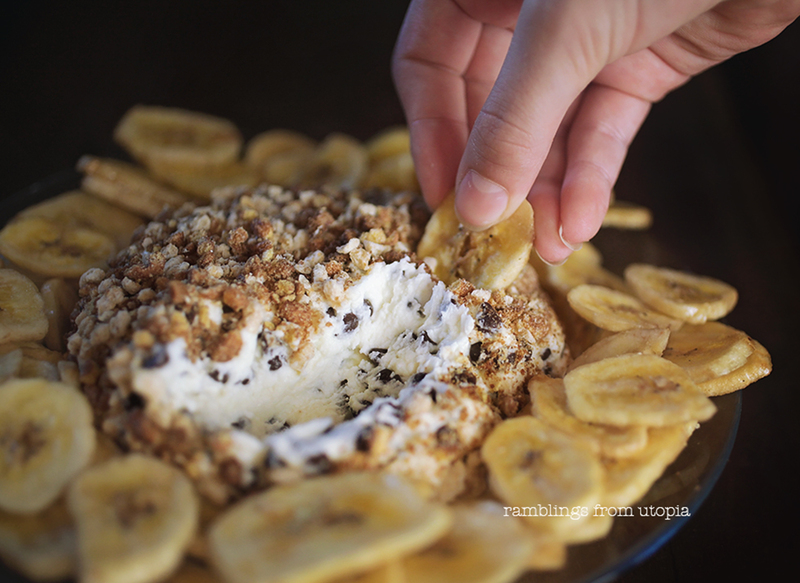 Place in the middle of a serving dish and surround the dip with banana chips. total prep time is 90 minutes – 3 hours (depending if you refrigerator to chill or use the freezer for quicker prep time). 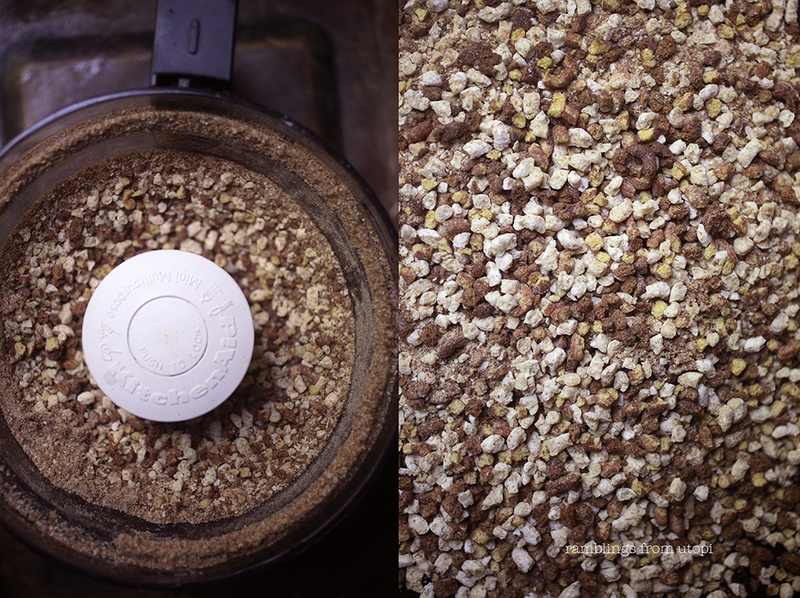 I prefer to use a food processor to crush up the Cheerios, a plastic ziplock bag and wood mallet will work just fine too. 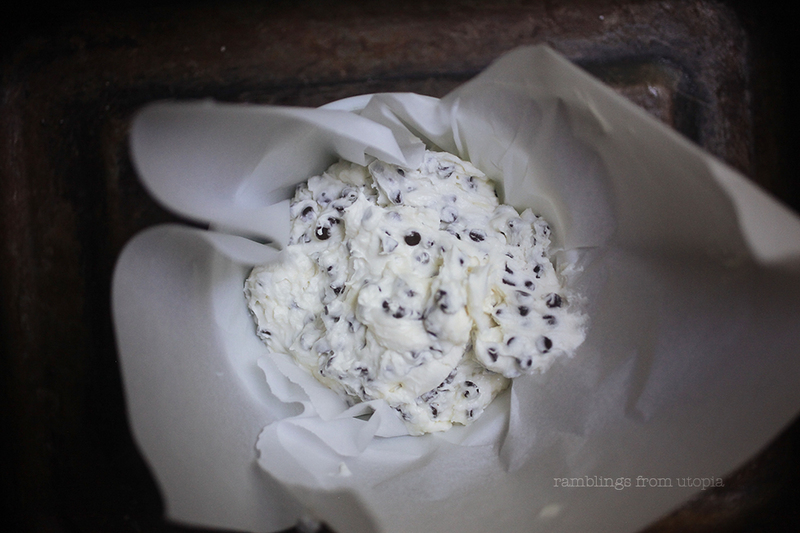 Parchment paper is a great non-stick wrap for forming the cookie dough cheese dip into a ball, but plastic wrap sprayed with nonstick cooking spray will do fine. If you’re short on time, placing the wrapped cookie dough cheese ball in the freezer will speed up the prep time by 75 minutes. 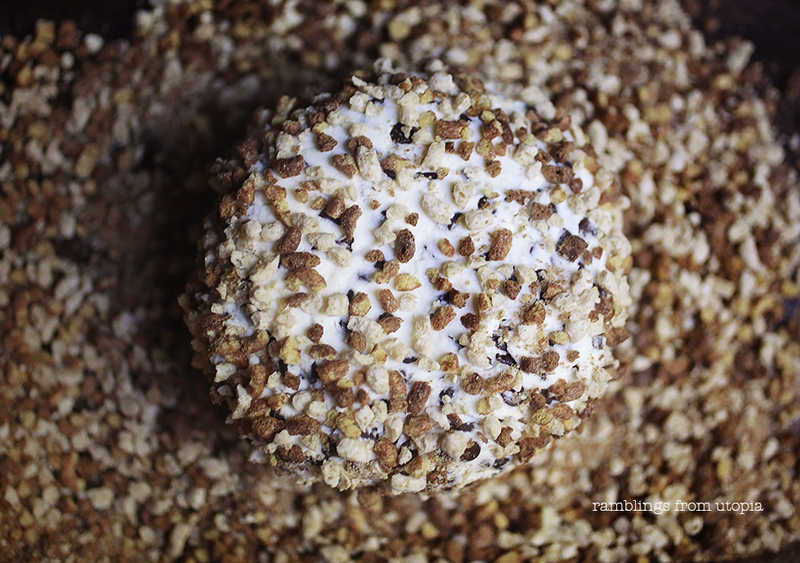 Cover the cookie dough cheese dip ball fully with the crushed Gluten Free Cheerios, looks pretty and makes it easy to pick up and plate it on to the serving dish. 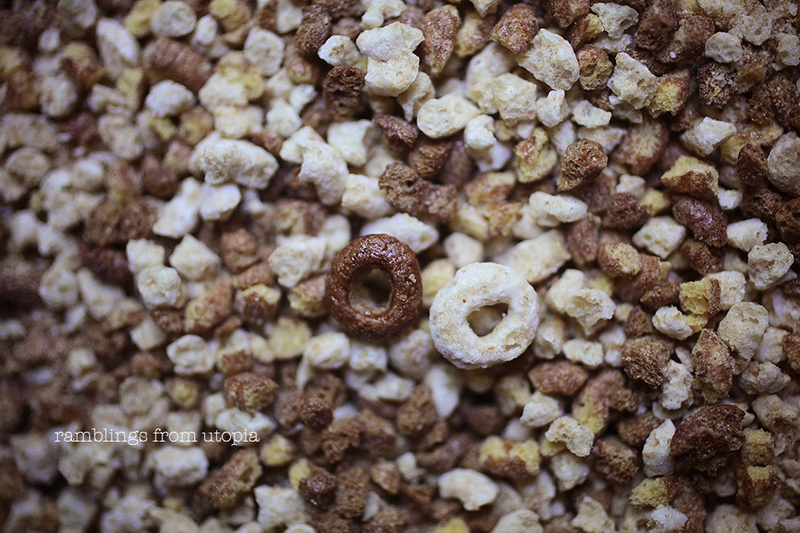 More Cheerios, more crunch! Get the Publix digital coupon and save $1.00 when you purchase 2 select General Mills cereals. I’m giving away $15 to one lucky Ramblings From Utopia reader, simply leave a comment below on your favorite Gluten Free cereal and your email. Winner will be chosen on June 29th and paid via Paypal. Many thanks to General Mills for sponsoring today’s story and encouraging me to taste this cereal! 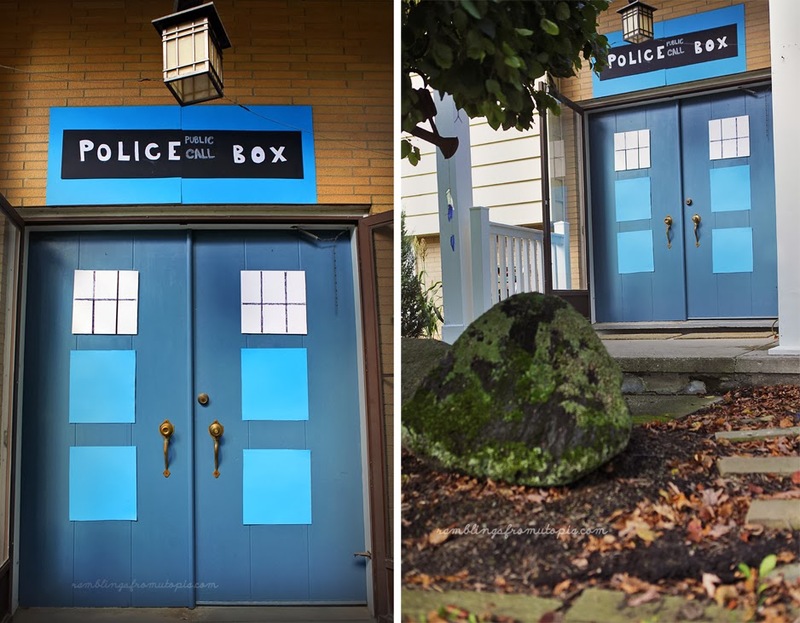 than a Doctor Who themed birthday party! 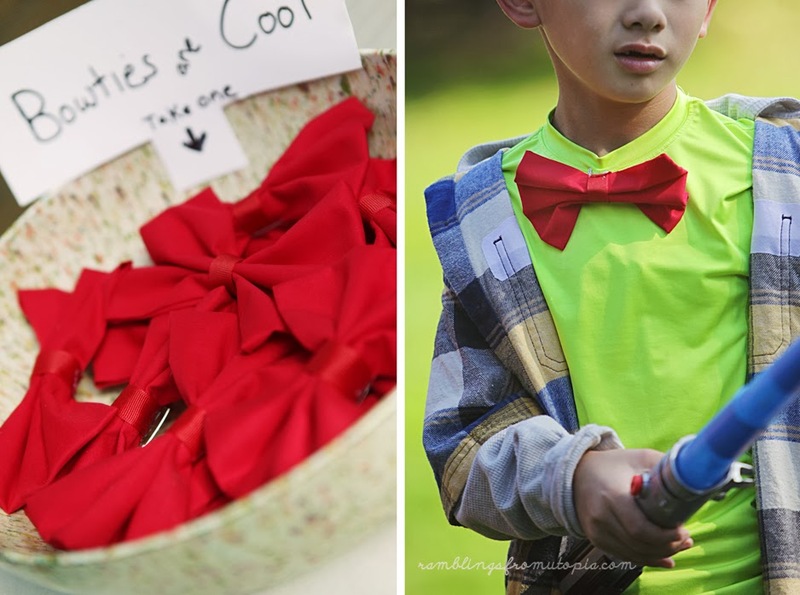 A day in the life of Doctor Who wouldn’t be complete without a bow tie for everyone! 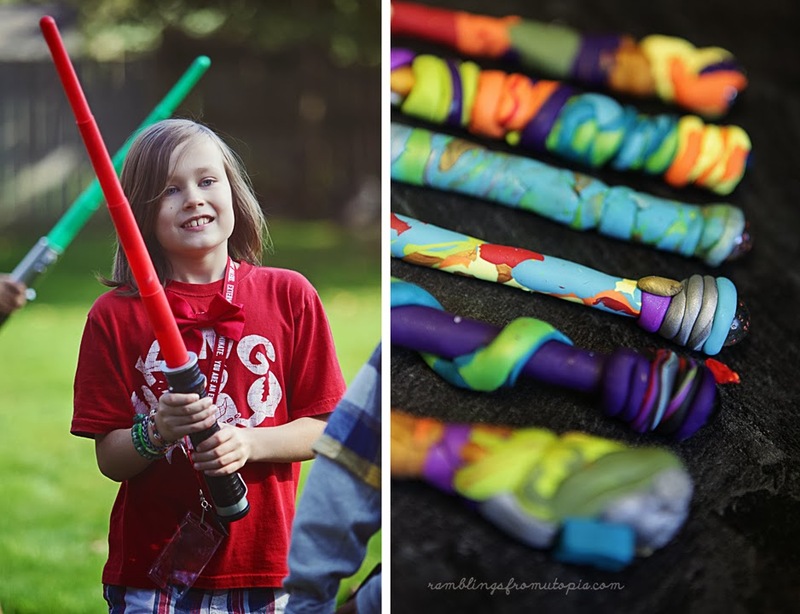 very own sonic screwdriver pens made from modeling clay and a pack of cheap pens from Walmart. by the time they left that afternoon we had 6 more fans! 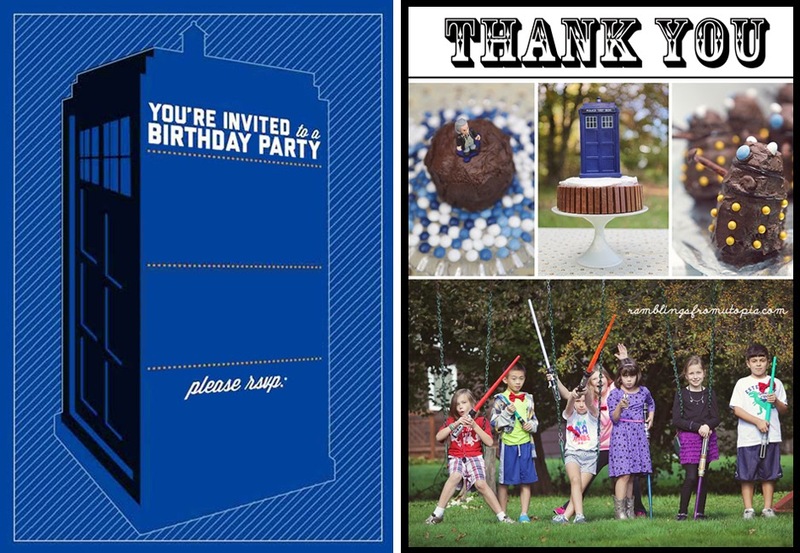 The Invitations and Thank You’s kept with our Doctor Who theme. I wanted to do something different, something exciting! Birthday girl and party goers had no idea the balloons were filled with sprinkles. So when it came time to make a wish and pop them everybody was surprised! 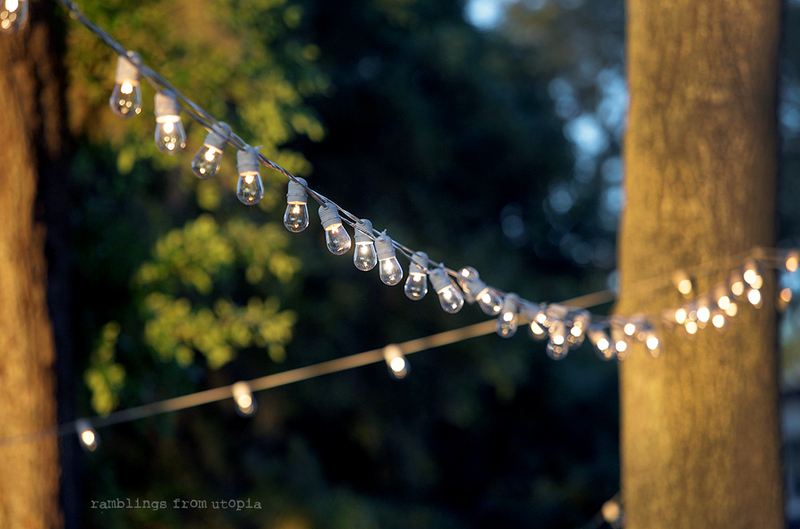 I suggest doing this outside it can leave a bit of a mess on the table, but it’s well worth a little cleanup. Using heavy duty scissors cut the wooden skewer to size, using the end with the point to insert into the cake. The balloons can be blown up using helium or plain air. 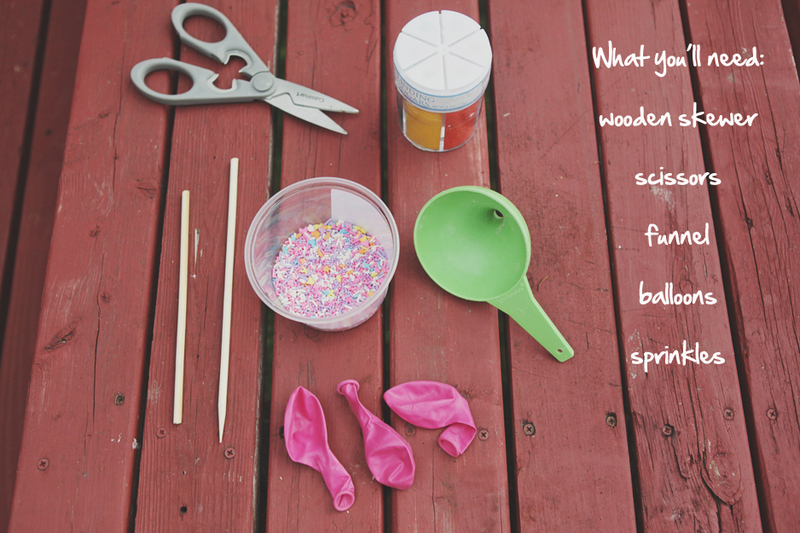 The size of the balloons determines how many sprinkles it can hold. The larger the balloon the more sprinkles. 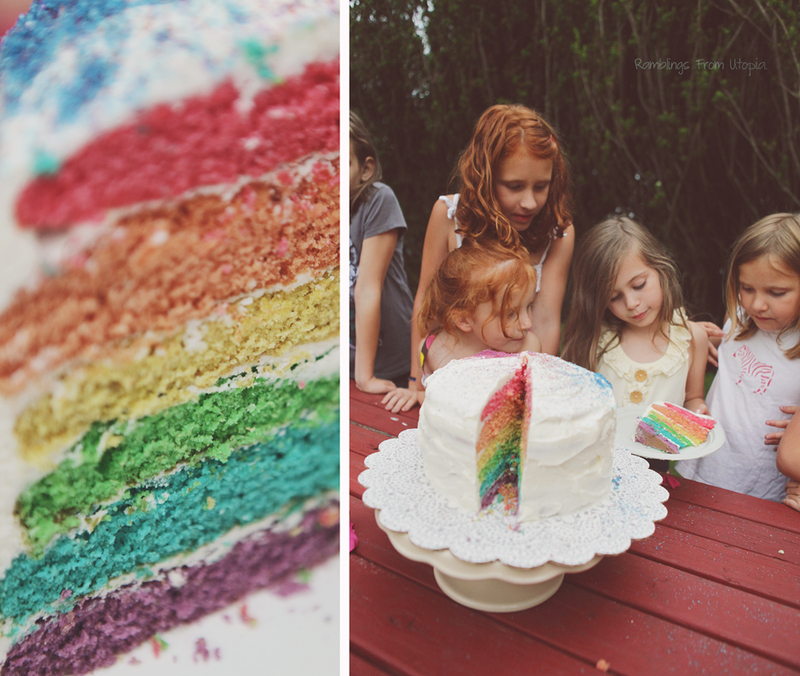 Not only were the sprinkle balloons a surprise so was the inside of the cake, I managed to kept it’s colorful layers a secret despite my excitement! 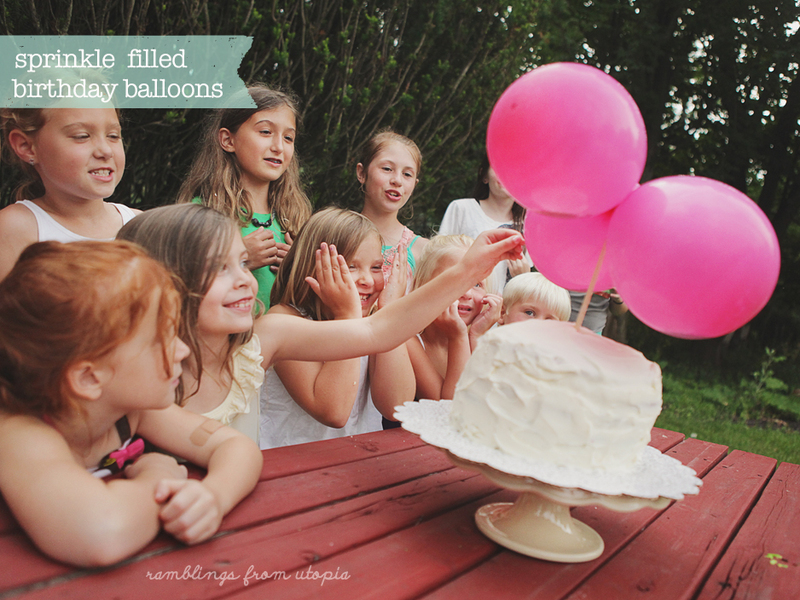 Any kind of sprinkles will work for this, we used a sewing pin works to pop the balloons.